Nasir Mahmood Khosa was named as the caretaker Punjab chief minister after the opposition reached a consensus on the candidate earlier today. Khosa is the Alternate Executive Director from Pakistan representing Afghanistan, Algeria, Ghana, Iran, Morocco, Pakistan, and Tunisia. The former bureaucrat was born in Dera Ghazi Khan. 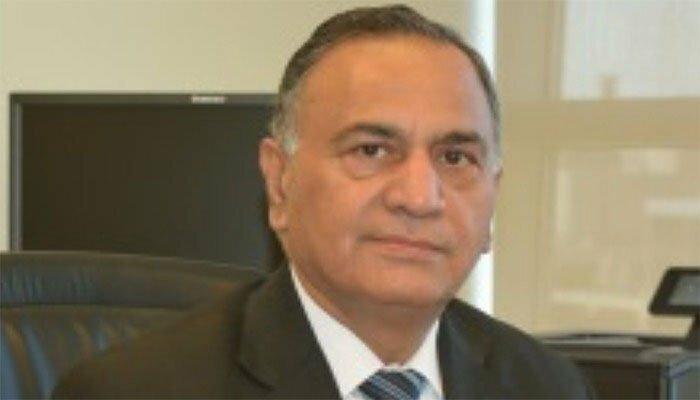 He served as a chief secretary in both, Punjab and Balochistan, with his tenure in the former extending to over two years with Shehbaz Sharif as the chief minister. He belongs to the sixth common batch of the Pakistan Administrative Service (PAS). Khosa had also served as Deputy Commissioner, Faisalabad, and Lahore, Commissioner Lahore, Additional Secretary Finance, Additional Secretary Agriculture and Food and Principal Secretary to the Punjab governor. Khosa has also served as the principal secretary under former prime minister Nawaz Sharif in 2013. He holds a degree in English Literature and Public Administration. Khosa had earlier completed his Bachelor of Laws. He obtained a degree from the University of Pennsylvania, where he specialised in Development Economics. One of his brothers Justice Asif Saeed Khosa is Supreme Court judge and second one Tariq Mahmood Khosa is a PSP officer and served as Balochistan IG and FIA director general.